Marco Etcheverry enjoys legendary status in the United States. Find out why. Few sports teams can lay claim to having been all-conquering right off the bat. DC United’s beginnings might have been at a modest standard of football compared to the true global icons of the game, but they quickly established themselves as the leading team in the new Major League Soccer in the United States of America by taking on all comers – and winning – right from the start. For a while, at least. Bolivia’s Marco Etcheverry was a crucial factor. Listed as his honours in MLS are three MLS Cup winners’ medals, a US Open Cup medal and a CONCACAF Champions Cup medal. They were all awarded, polished and locked away for safekeeping by the end of 1999, the fourth season of the fledgling league’s existence. United’s league and cup double in 1996 had set the tone and was followed by a flurry of trophies that also included the last ever Copa Interamericana, a title of which Etcheverry remains proud despite its long forgotten prestige. For a South American player to beat Vasco da Gama over two legs despite being a goal down after the first was a worthwhile achievement in any circumstances; to do it as part of a team from Washington, DC in its third year would have been quite something for a player from Santa Cruz de la Sierra. For everything he achieved in the USA Etcheverry is regarded by DC United supporters as a true icon of the best time in their history. Trophies are all well and good, but Etcheverry’s football is what really etched him into the American soccer consciousness in the second half of the 1990s. ‘El Diablo’ was the player who was loved by his own supporters and loathed by those on the other side. His fiery temper rubbed opposition fans up the wrong way, perhaps most notably in MLS those of Chicago Fire. He liked to chip away at opponents while referees looked the other way, not that it seemed to bother him too much if they saw. Etcheverry, classy and elegant on the ball and blessed with tremendous vision, was equally adept at complaining about officials both to their faces and to the media. But his famously dangerous left foot outweighed all of that for those supporters in a position to adore him. His friendship with compatriot Jaime Moreno, a genuine DC United and MLS legend in his own right, blossomed into a beautiful and deadly partnership on the fields of Major League Soccer and the silverware flowed to the capital. As well as winning multiple championships in North and South America, Etcheverry had an impressive international career that spanned fourteen years. He made his name with 13 goals in 71 caps and was part of a team that took Bolivia as far as any other. Their qualification for USA ’94 demonstrated both the importance of Etcheverry and the distinct advantage, now lore, of playing home games in La Paz. The effects of playing at over 3,500 metres above sea level do nothing for the performances of away teams and La Paz was a crucial factor in World Cup 1994 qualification as Bolivia finished second behind Brazil in CONMEBOL’s Group 2. They began away from home, however, and dismantled a poor Venezuela side to the tune of 7-1 before Etcheverry began to write his World Cup story by scoring the opening goal against Brazil in La Paz in July 1993. Bolivia won 2-0 and condemned Brazil to their first ever defeat in World Cup qualifying at the 32nd time of asking. A 6-0 loss in Recife the following month highlights the severe impact of altitude as well as shortness of breath ever could. Etcheverry scored the second goal in a 3-1 win over Uruguay and twice in another demolition of Venezuela, taking his total to four as La Verde made that home advantage count. 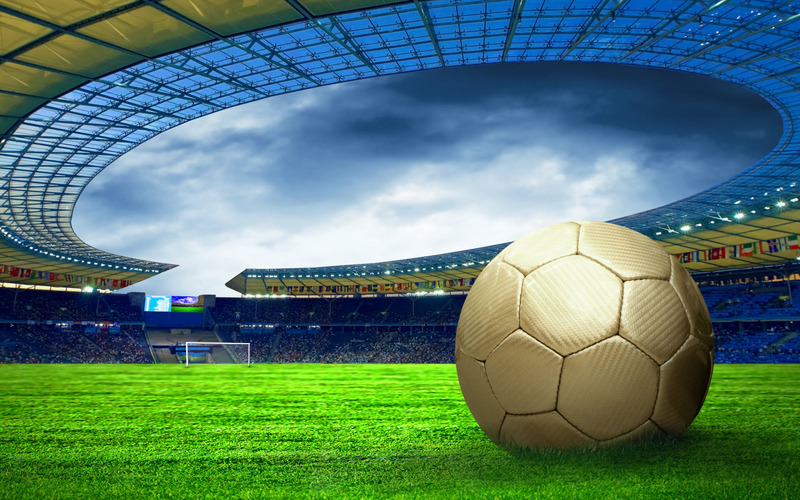 They lost in Uruguay and drew in Ecuador, qualifying automatically behind the Brazilian side that went on to win the main event in the United States. It was the first time Bolivia had won a World Cup place outright by way of a qualifying campaign. But, with the qualifying round in the books and the summer tournament on the horizon, Etcheverry found himself with another battle to fight in between. A serious knee injury sustained in November forced the Colo Colo playmaker into surgery and a seven-month period of rehabilitation that had his World Cup participation doubtful right up to the wire. Marco Etcheverry trudges off after being sent off against Germany at the 1994 World Cup. Indeed, his injury and a lack of match fitness kept him on the bench for his return match, the small matter of the opening game of World Cup USA ’94, in which Bolivia faced reigning world champions Germany at Chicago’s Soldier Field. 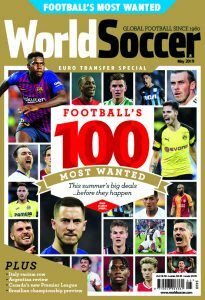 Bolivia coach Xabier Azkargorta held Etcheverry back until the last eleven minutes, hoping to capitalise on tired German legs and El Diablo’s natural ability to make something, anything, happen for his side. Sure enough the headlines went Etcheverry’s way, but they weren’t the headlines he and Azkargorta had been hoping for. Four minutes after replacing Oriente Petrolero’s William Ramallo, Etcheverry clashed with Lothar Matthäus. He kicked out as the two squared up and was sent off by referee Arturo Brizio Carter. The kick was risky and petulant but not dangerous, and it had no possibility of doing the German any damage if indeed any contact was made at all. It was a devastating conclusion to a long recovery. Etcheverry was remorseful and conciliatory after the match but the German was no innocent party. His flailing arm had instigated the incident, not for the first time or the last. Matthäus had a Major League Soccer spell of his own in 2000 and is remembered by fans of the league with the kind of fondness that might be reserved for the discovery of chewing gum, or worse, on the bottom of one’s shoe. 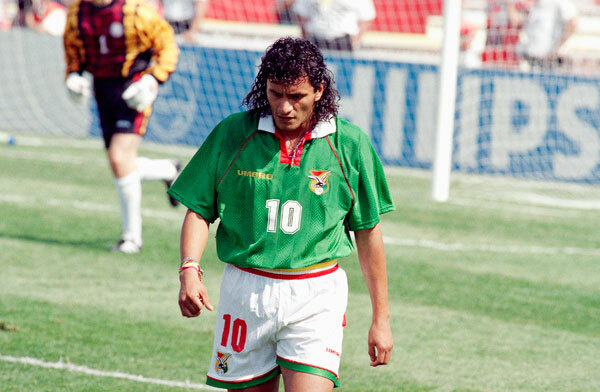 El Diablo, on the other hand, went on to great success in the United States but never again played in a World Cup; Bolivia have not participated in the finals since their ill-fated dalliance in 1994. So, Etcheverry’s total World Cup finals contribution consists of four minutes, two touches and a badly chosen retaliation that became little more than a pub quiz question. As supporters of the Black-and-Red will tell you, that incident tells barely a fraction of the Etcheverry story.